When illegitimate collection agencies overstate a person’s “balance in full” (BIF) due on debts, it’s a scam called overbiffing. How can you recognize this scam, and what can you do about it? If you have high-interest credit cards or personal loans at a variety of financial institutions, consider transferring your balances to a credit card with a lower rate. Every year, the Internal Revenue Service (IRS) shares a list of the most common tax scams, including new variations on old schemes. Identity thieves use emails, texts, and bogus websites to phish for personal information — including your account numbers, passwords, and Social Security number. Scammers are threatening consumers and businesses with shutting off utilities. Acting as utility representatives, they call, email, and go door to door. For taxes, deposits, and other transactions, use the correct account number format. Our Credit Cards have your back with ID Theft protection and more. Our team is growing! Find out why CEFCU is a great place to work, as well as belong. View open positions, learn about benefits, and more. Use CEFCU On-Line® and CEFCU Mobile Banking to access your accounts on any device 24/7. Access more than 30,000 fee-free ATMs. Now it's easy to pay someone else — even if they aren't a member — with CEFCU My Pay. Challenge your kids and teens — meet nine of 12 objectives and receive a free $10 eGift Card! For a limited time, open a new Credit Card and receive special rates and a bonus. You'll get great rates with a CEFCU Private Student Loan. Plus there are no processing fees or prepayment penalties. 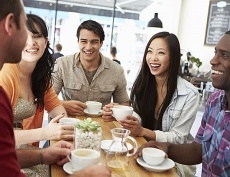 Just tell a friend how great CEFCU is, and when your friend joins CEFCU, you get a reward. 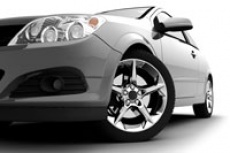 Our new online loan application is faster and easier. Have it deposited directly into your CEFCU account. It's more secure and faster than mail. This summer, join us for special events, fun activities, great contests, and more! Get special rates plus an added bonus when you choose a CEFCU Mastercard® Credit Card. 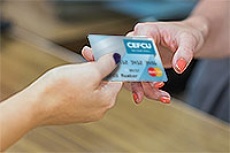 Add your CEFCU Credit or Debit card for a quicker and more secure checkout. Apply for a Home Equity Credit Line and start on all those plans you have for your home. CEFCU Mastercard® Gift Cards are the perfect gift for any occasion. Online and in store, shop safe this holiday season.